If you have lost a dog please contact our office immediately at 419-334-2372. We are often the most likely agency to find or hear about your dog. Ask to fill out a lost dog report in person or over the phone in case we receive a call regarding your dog. Do not soley rely on the lost report, continue to check in person at the shelter for your dog. 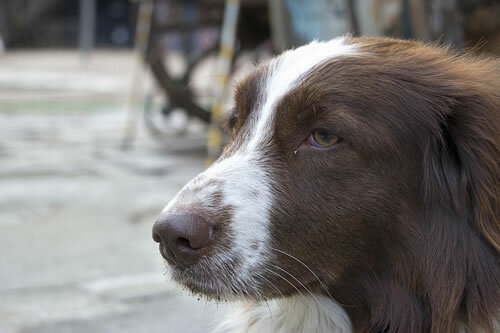 The shelter is often unable to match dogs with lost reports due to each individual's opinion regarding breed, color and other reported information. In addition, you may contact your local police or Sheriff's office in the event someone has contacted them with information. It is also advisable to post flyers with the dog's picture, description, date lost, area lost, and your contact information at veterinary clinics, pet stores, groomers, boarding kennels, grocery stores, and post offices. Submit an ad in local newspapers as well. If you have found a dog in Sandusky County please contact our office immediately at 419-334-2372. If the dog is wearing a Sandusky County dog license you may attempt to obtain the owner's information by searching the online dog licensing database by license number. We can either pick the dog up from you or we can fill out a found dog report over the phone in the event an owner calls regarding the dog. Take the dog to a local veterinarian's office or to our office to be scanned for a microchip. Check the newspaper for lost dog ads, as well as pet stores, groomers, boarding kennels, grocery stores, and post offices for lost dog flyers. Contact your local police or sheriff's office as well. If you have found a dog please contact the county dog warden of the county in which the dog was found. Please do not transport found dogs out of the county in which they were found.